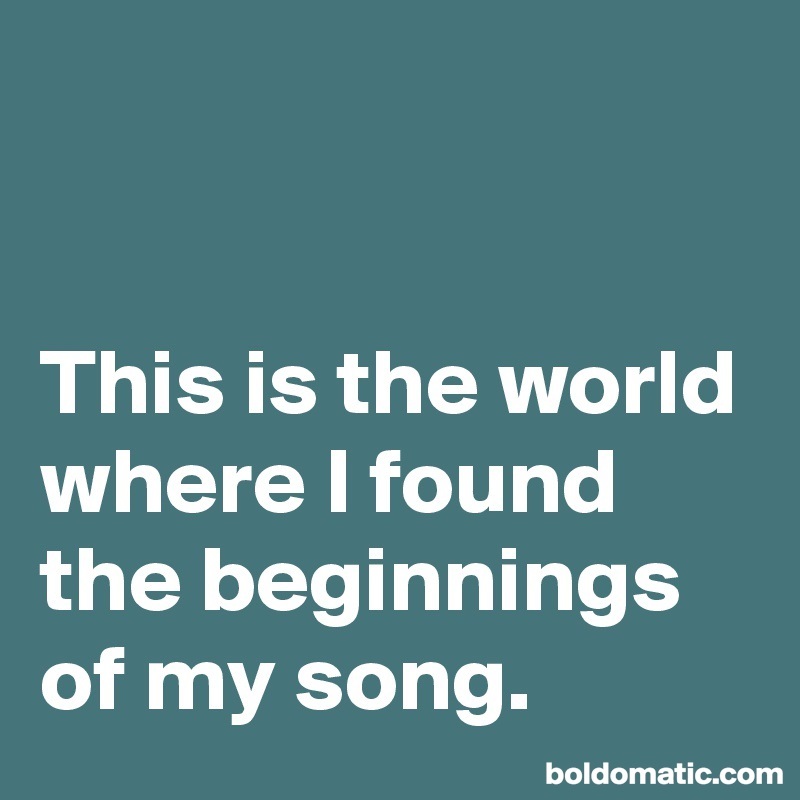 #blogg100 – The beginnings of my song. I’ve just gotten started on the book Born to run by Bruce Springsteen, but I am already smitten. The way he writes, how he crafts words into sentences, carving them to paint pictures within my mind, the tonality and rhythm of the phrases making me rejoice, and sometimes even be completely awestruck. 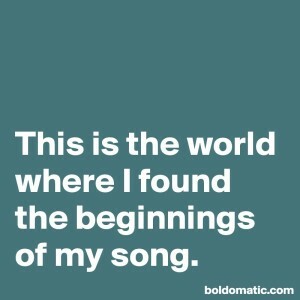 Bruce Springsteen is a skilled word crafter, creating worlds within me. I should not be surprised, really. From the lyrics of his songs, I know this. But still – with letters turning into words, making up sentences, forming phrases and paragraphs, sometimes direct and extremely explicit, sometimes elusive and coy, leaving me to weave my own image of what is roughly sketched on the page – I am smitten. What an alluring sentence. Inviting me to think back, to reflect on the beginnings of my song. And is it a song? For me? For Bruce, oh yeah. Without a doubt. But for me? Maybe. Maybe not. Is it perhaps more of a story for me, a novel? I write. Now. And I am so happy I am. It’s one of the greatest gifts I’ve ever given myself, taking on the challenge of blogging daily for one hundred days, which now is a routine of mine that has me hooked. It is so thrilling. I truly enjoy it. As I write this, sitting in bed, after a long day at a customer writing their quality manual (not exactly thrilling writing in the same way, I admit. But still – quite the challenge, and filled with opportunity for learning! ), a smile slowly spreads across my face. My eyes twinkle and I sit here giggling, cherishing the experience of letting come. Not knowing what’s next – what my fingers will get up to, dancing on the small keyboard of my mini IPad, and then – all of a sudden, there it is. A sentence, a paragraph, a blog post, two or perhaps, even three. The beginnings of my song? #Blogg100 challenge in 2017 – post number 24 of 100.